2018 has already proven to be a busy year for Powder and Pin and we were so excited to start the new year with hair and make up trials for our brides, weddings and hen party bookings! In January we took our first booking for New Years Eve - almost a year in advance for 2018 and we are already getting booked up for our summer wedding season too which we can't wait for to come around! Tomorrow kicks off the hen party season for Powder and Pin with our first hen party of the year and with not only one but two parties in the diary! Lottie's flower crown hen party in the morning was prepared yesterday with lots of flowers and ribbon cutting and we can't wait to meet the 16 ladies booked in to make their flower crowns tomorrow with Powder and Pin's lovely Laura! We're also super excited for the second hen party tomorrow which will have 13 ladies looking glam for their night out for Czara's hair and make up hen party by our fabulous stylist's Sarah and Elloise. 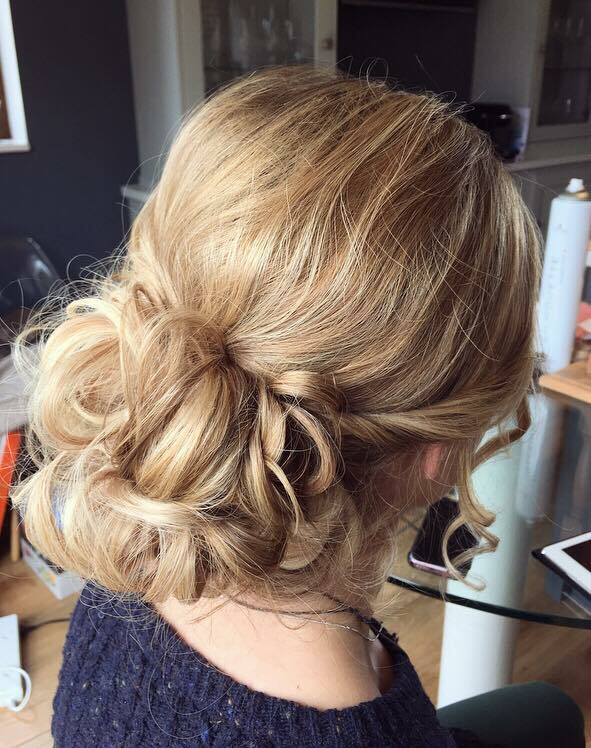 We've also had two bridal trials this week in Brighton for Sian and Elizabeth who were both looking beautiful with updo's and natural make up. Elizabeth (bottom left) brought along some dark pink feathers to her trial to try in her hair which match the bridesmaid dresses and we absolutely LOVE the colour - it's such a beautiful pink that we can't wait to see the bridesmaid dresses in June on the wedding day!